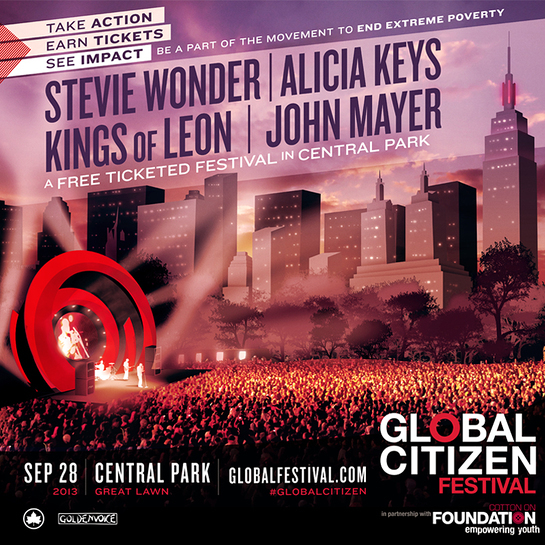 The Somaly Mam Foundation is proud to be partnering with The 2013 Global Citizen Festival, featuring Stevie Wonder, Kings Of Leon, John Mayer and Alicia Keys in a call to action to end global poverty by 2030. Taking place on September 28, 2013, in New York’s iconic Central Park, the festival gives Global Citizens the opportunity to join a movement of people who together are creating a world without extreme poverty. 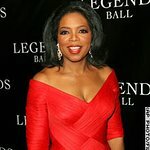 By taking action on globalcitizen.org, you can earn points to enter a chance to win one of 27,000 double passes to the festival. The focus of the Festival this year will not only be on global poverty, but accelerating progress on the issues of health, education, women’s equality, and global partnerships. Coinciding with the UN General Assembly, the Festival serves as an important platform for citizens to come together and raise their voices for change in a moment when critical leaders are gathered together. Somaly Mam Foundation is proud to be a part of the Global Citizen Festival. As an organization focused on empowering survivors of slavery, Somaly Mam Foundation believes that it is essential for women and girls to be at the heart of the post-2015 development agenda. Basic education and economic empowerment can boost a woman’s position and value within the community, erasing stigmas and encouraging gender equality. Empowering girls and women is an effective way to end cycles of poverty that often lead to situations of exploitation, and can create healthier and wealthier communities. By working together with Global Citizen Festival, the foundation hopes to engage global citizens everywhere and bring this important issue to the forefront of the post-2015 agenda. To learn more information about the Global Citizen Festival, and to start earning points to win tickets, visit festival.globalcitizen.